The Blind Assassin is nothing short of a remarkable feat for any writer, but because this was written by Margaret Atwood, it is almost expected of her. Only one who has mastered the craft of writing would be able to weave the four narratives presented without some tangles and tears in the way. 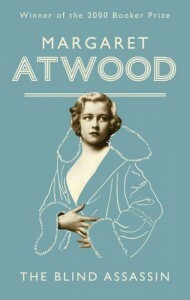 The two narratives of Iris in the present and Iris writing the past are conventional enough, but Atwood also includes the novel within the novel, The Blind Assassin, with its own distinct style, with its own story within a story as pure early twentieth century science fiction. A book with this many elements should be terribly pretentious, let alone downright terrible, but it's not. Even those who are not fans of Atwood would be impressed. While reading The Blind Assassin, I found a dull sadness growing within me, and now that I've finished I'm left with an ache. 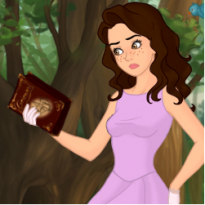 Our protagonist, Iris Chase Griffen, makes it clear that she does not want to be viewed as a heroine or a tragic figure, but despite this the reader cannot help but feel for her. Trapped in an arranged marriage that ended up being a scam on her family, Iris is manipulated by her husband and sister-in-law into being a non-entity in regards to her own life and her younger sister's. Her daughter wanted no relationship with her, and thus Iris has no relationship with her granddaughter Sabrina, which is all she yearns for now that all else is gone. But the ache of sadness comes from the guilt and regret about how Laura's life turned out--how she felt powerless to protect her, how she never realized Richard was molesting her, how she could not bring her back to life, that they both lost the lover they shared, and how she can never convey nor make up for the sorrow she feels. It may not be the most gripping novel in the world, but I won't regret reading it.